The Dallas Police Department has released more surveillance video of the sexual assault suspect in hopes that someone will be able to identify him. If anyone knows the identity of this individual, please call Detective A. Lopez at 214-671-3683. If you wish to remain anonymous, you may call Crime Stoppers at 214-373-TIPS (8477). The Dallas Police Department still needs the public’s assistance in identifying an assault suspect. The suspect in the offense is wearing a white tank top, possibly compression pants with shorts over them, and Christmas socks. He has a jacket over his shoulder and is carrying a pair of white shoes. This video was taken in the Dollar Tree store at Ledbetter Drive and Interstate 35E. If anyone knows the identity of this individual, please call Detective A. Lopez at 214-671-3683. 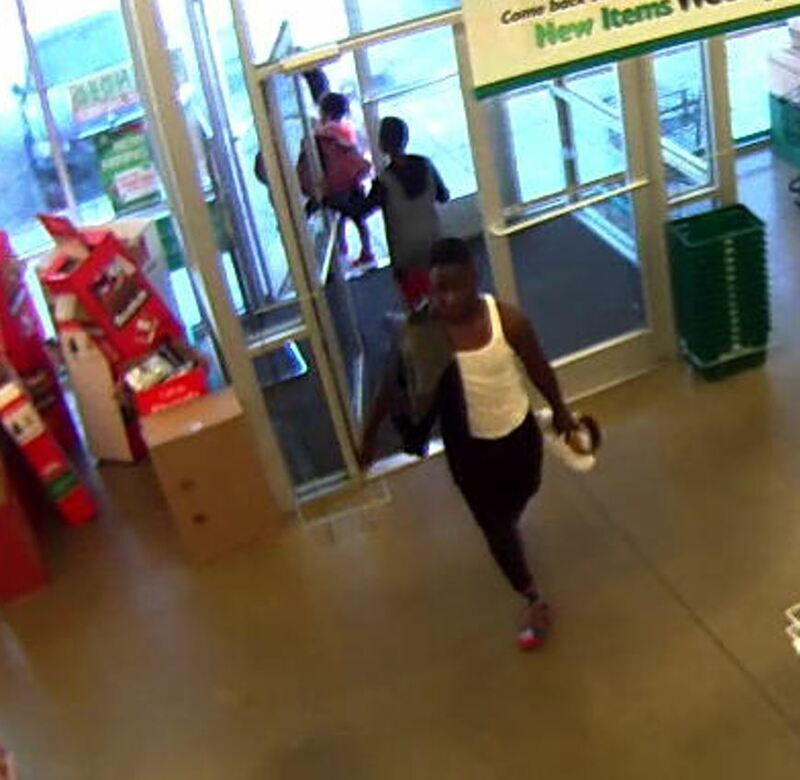 If you wish to remain anonymous, you may call Crime Stoppers at 214-373-TIPS (8477). The suspect in the offense is wearing a white tank top, dark pants, and Christmas socks. He has a dark jacket over his shoulder and is carrying a pair of white shoes. This photograph was taken in the Dollar Tree store at Ledbetter Drive and Interstate 35E. If anyone knows the identity of this individual, please call Detective A. Lopez at 214-671-3683. If you wish to remain anonymous, you may call Crime Stoppers at 214-373-TIPS (8477). The Dallas Police Department is asking for the public’s assistance in identifying an assault suspect. On November 30, 2017, at approximately 5:45 p.m., a female walking into her garage was assaulted by an unknown male. The male was seen pushing a shopping cart down the street prior to the offense. The male suspect is described as being in his teens, approximately 5’5” and average build. The male fled Southbound on foot from the 500 block of W. Five Mile Parkway, Dallas, Texas. Persons with information are asked to call Detective A. Lopez #7493 at 214-671-3683. Citizens are being asked to be on alert for any persons within the vicinity of this reported offense that match the description or suspicious.